ASE clients save an average of 15% over their existing OEM's service pricing. ASE hires only OEM trained engineers. ASE offers the same response time, quality and professionalism. ASE has tailored service offerings. ASE can provide engineers for all major OEM's. 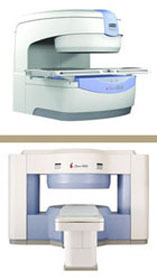 ASE offers sales and service on a variety of used diagnostic imaging equipment. Websites are good for a cursory glance at an organization, however please take the time to contact us live to get more detailed information or to set up an in-person meeting. With an Alternative Service Engineers, Inc. (ASE) franchise you can own - or grow - a more lucrative, third party service company in your community. For those field service engineers with outstanding people skills and a strong background in OEM service, this is a unique and timely opportunity to build a profitable business with residual income potential. Open MRI is still very much needed for overflow studies, large and claustrophobic patients. ASE is a distributor of Wandong Medical Equipment Co. for TX, NM, AZ, CO, NE, IA, KS, LA, AR, MO and IL. The C-Shaped 0.36T i-Open MRI System is a light weight (13.5T) passive and digital shimmed magnet with a 40cm bore opening. The Dual Post 0.5T i-Open Permanent MRI System has the highest field strength 0.5T of the permanent systems. Two LCD Touch Screens, 41cm bore opening and 4 channel phased array are only the beginning of this systems capabilities..